Some may think this title oxymoronic. I was just talking with a girlfriend the other day that admonished kale to be the most difficult vegetable to like. So, I told her about this salad. 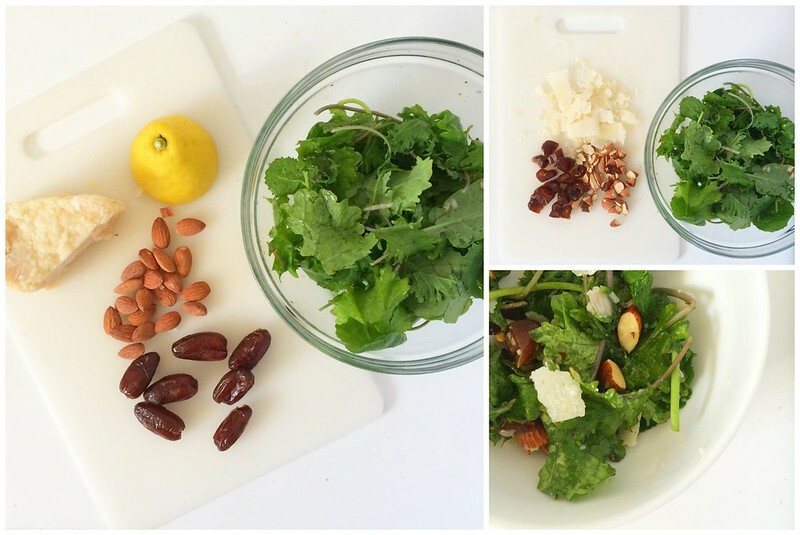 I like to call it the I'll-convert-you-to-kale-salad or the you'll-want-this-for-lunch-everyday-salad. 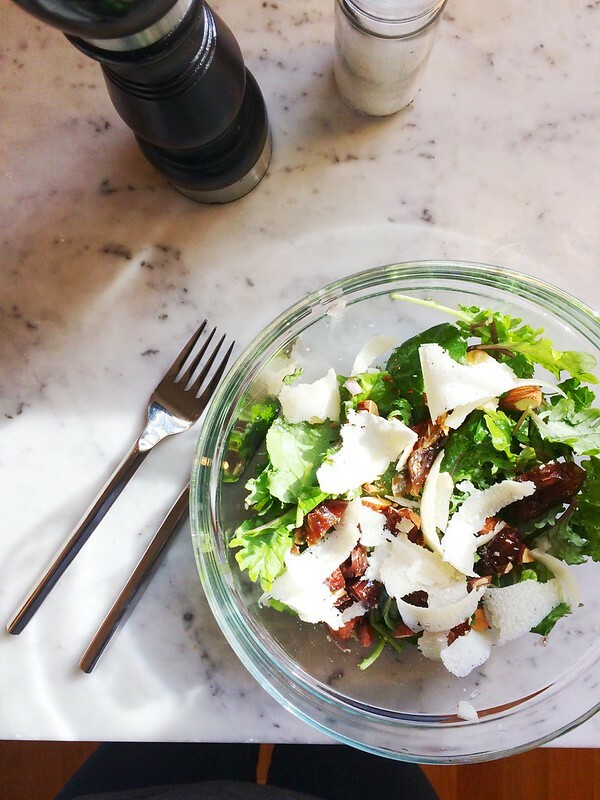 Epicurous calls it Kale Salad with Dates, Parmesan and Almonds. But don't be fooled by the name. It will change the way you lunch. Or at least, it has for me. I was introduced to this at a family gathering this summer and have been making a version of it ever since. Whisk together juice, shallot, honey, salt and pepper flakes in a bowl. Add kale and toss. Let sit while you prepare other ingredients. Then mix in oil and top with the almonds, dates and shaved parmesan. This salad looks amazing and I want to run to the store today to get everything! Thanks for Sharing Megan!! This salad was soooo good at dinner tonight. I'm making this ASAP! !